I’ve had my ATS-V for a year and a half. I initially shipped it to a prominent tuner in Ohio, not knowing they were way overpriced, had horrible customer service and the tune was not only poorly done, it was also very dangerous as I came to find out. Another well-known tuner was my second choice. I spent the time having them provide progressively improved remote tunes for my car. Got decent results, but very basic. 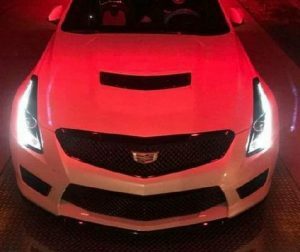 At that point Scott Cook who has years of automotive tuning and modification experience and actually holds some records with other platforms, came on to the ATS-V tuning scene. Now my car is an absolute monster. I found Scott to be detailed, friendly and he absolutely loves doing this. He will gladly explain all of the steps he is taking and why (if you want to know all the that), and you can rest assured that your engine is running safely efficiently and at maximum performance potential.